Although it’s being replaced by two newer (and cheaper) mid-range devices. The Galaxy Alpha was released in Ireland in September, but is being phased out by Samsung. IT ONLY ARRIVED a few months ago, but Samsung is planning to scrap the Galaxy Alpha in favour of cheaper devices. 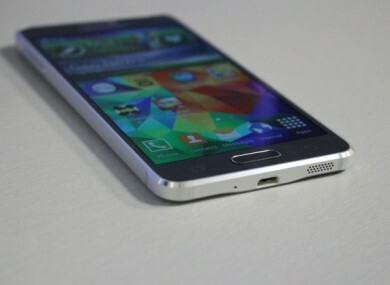 The device will be succeeded by the Galaxy A5, a mid-range smartphone with a 5-inch screen. The device follows the same metal design as the Alpha but has lower specs. According to etNews, the A5 went on sale in China and Taiwan in November and it’s expected to arrive in Samsung’s home country, South Korea, in January or February. The reduced specs means it will have a lower price, and is expected to cost 400,000 won (€299) in South Korea. Another model, the A3, was released alongside the A5 in China but has a 4.5-inch screen. 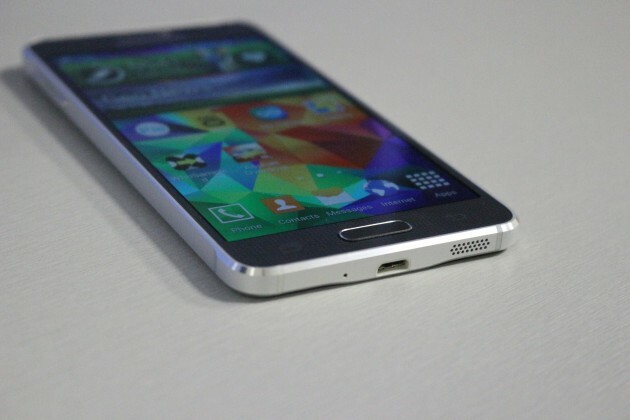 The Galaxy Alpha opted for a premium look after the S5′s plastic design drew criticism. It went for a metal design, as well as a thin and light feel, but its specs and high price meant it had to compete against high-end rivals such as the iPhone 6 and HTC One M8. The change is part of Samsung’s aim to shake up its smartphone range after a dip in net profit in 2014. Back in November, it announced its plans to cut the number of smartphone models it issues next year by up to a third as competition from Chinese manufacturers such as Huawei, Xiaomi and Lenovo increases. The Galaxy Alpha is still being produced but will be phased out once the current inventory of materials is used up. Email “Samsung plans to scrap its metal Galaxy Alpha in favour of cheaper phones”. Feedback on “Samsung plans to scrap its metal Galaxy Alpha in favour of cheaper phones”.